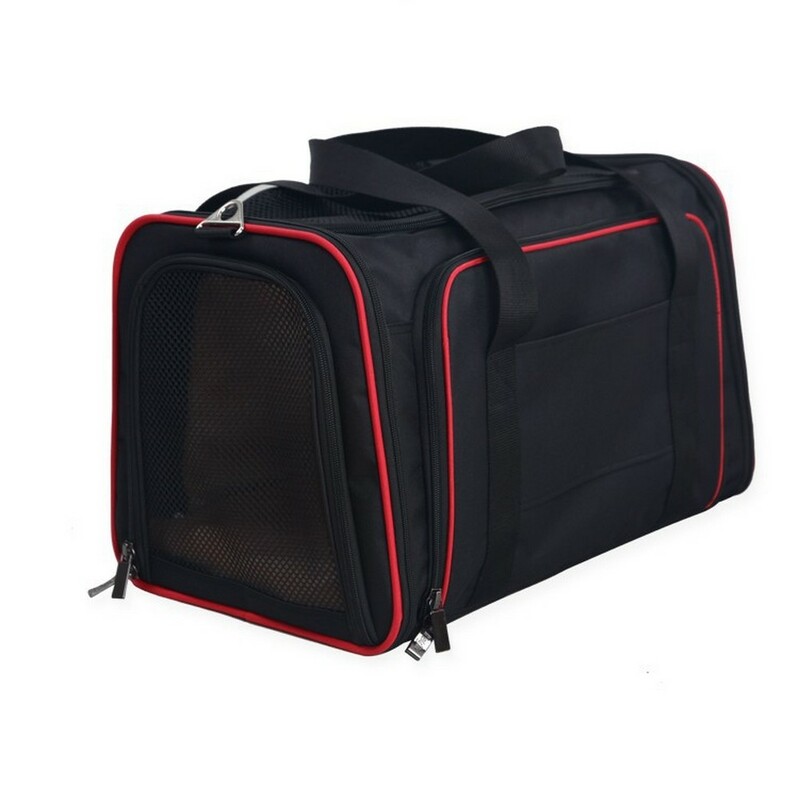 Our new Pet Carrier has now been upgraded with stronger straps & seams, better zippers, enhanced stability, softer mat and a lighter weight! 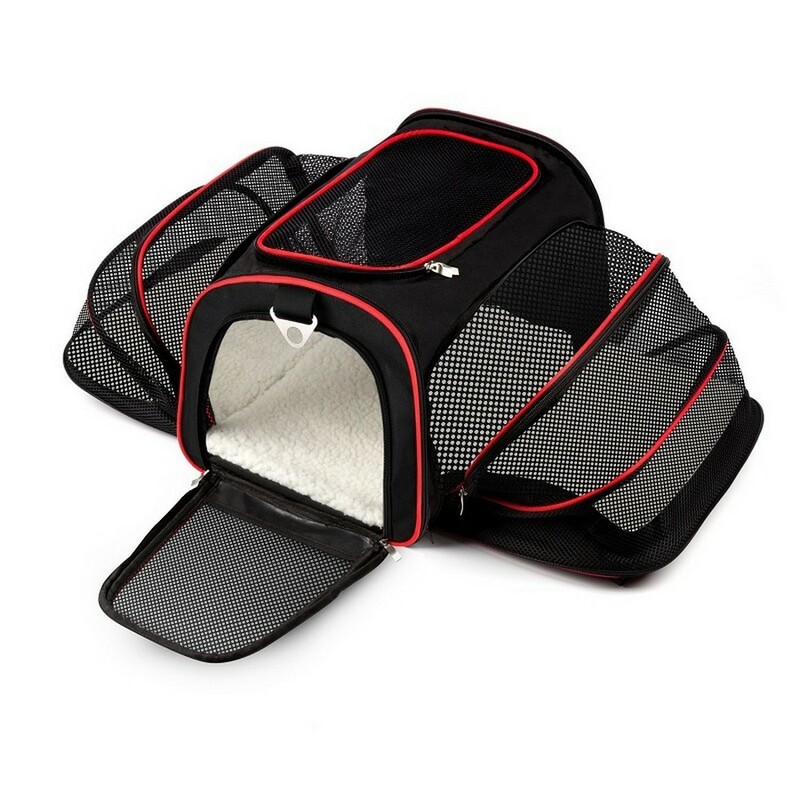 We have listened to customers feedback and made this cat & dog carrier to the best on the market! 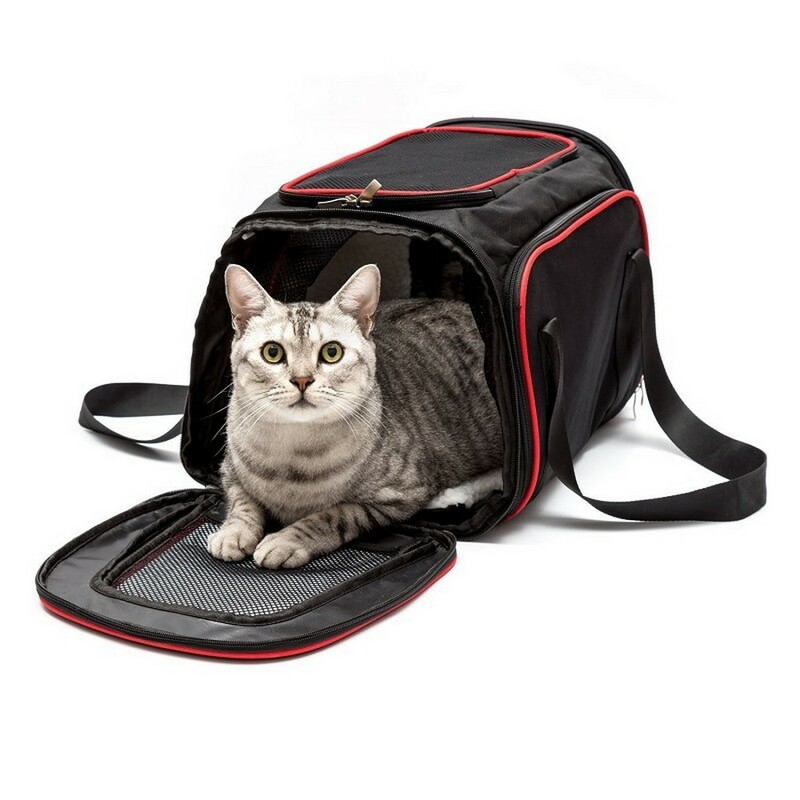 FIRST CLASS TRAVEL for your pet. 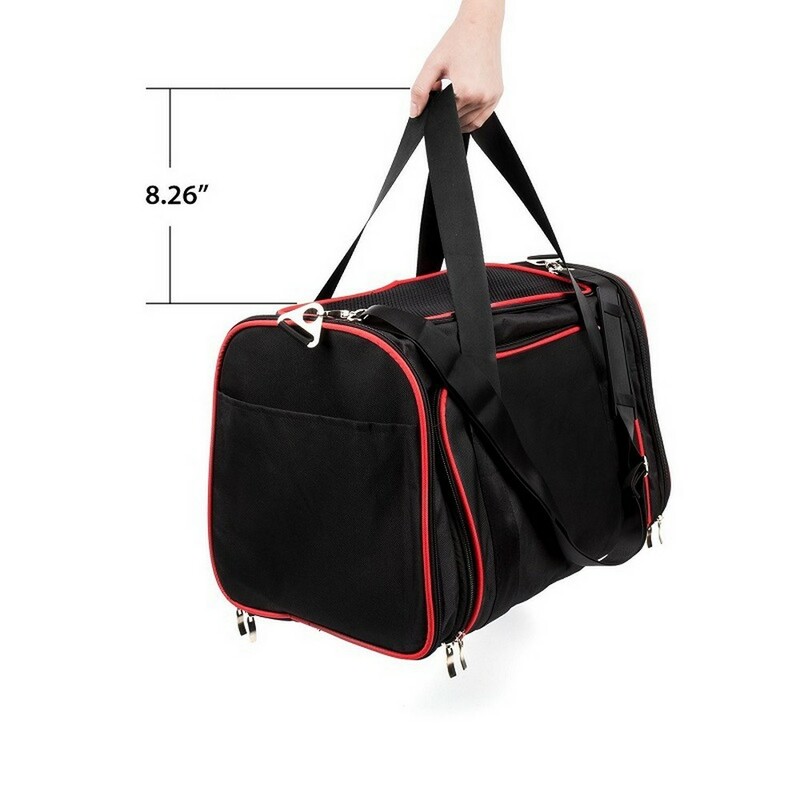 More comfortable than rigid crates. 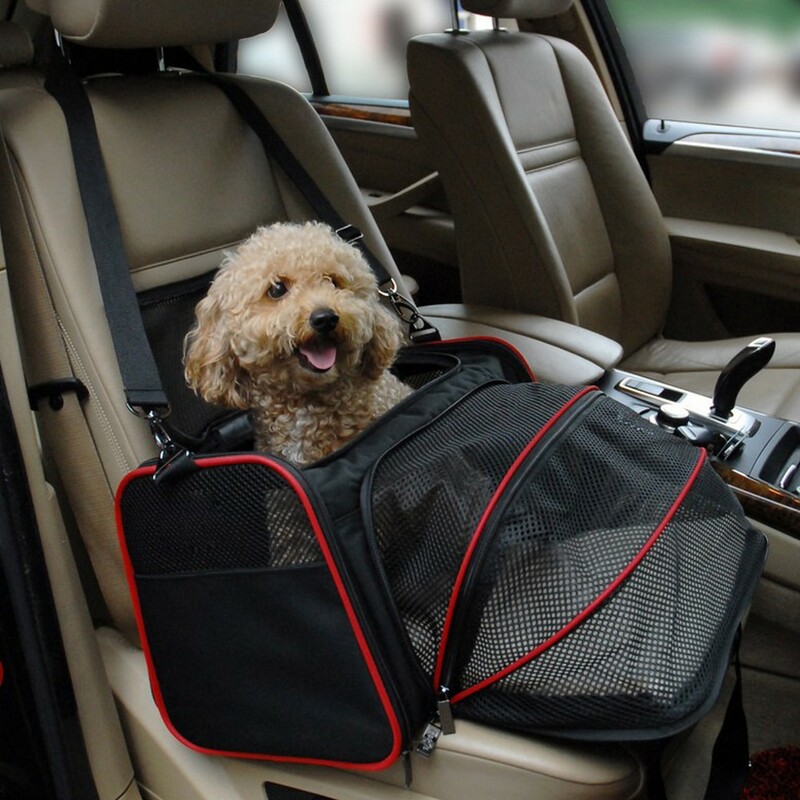 Our innovative pet carrier has expanding sides that zip out to give adult dogs and cats plenty of room. 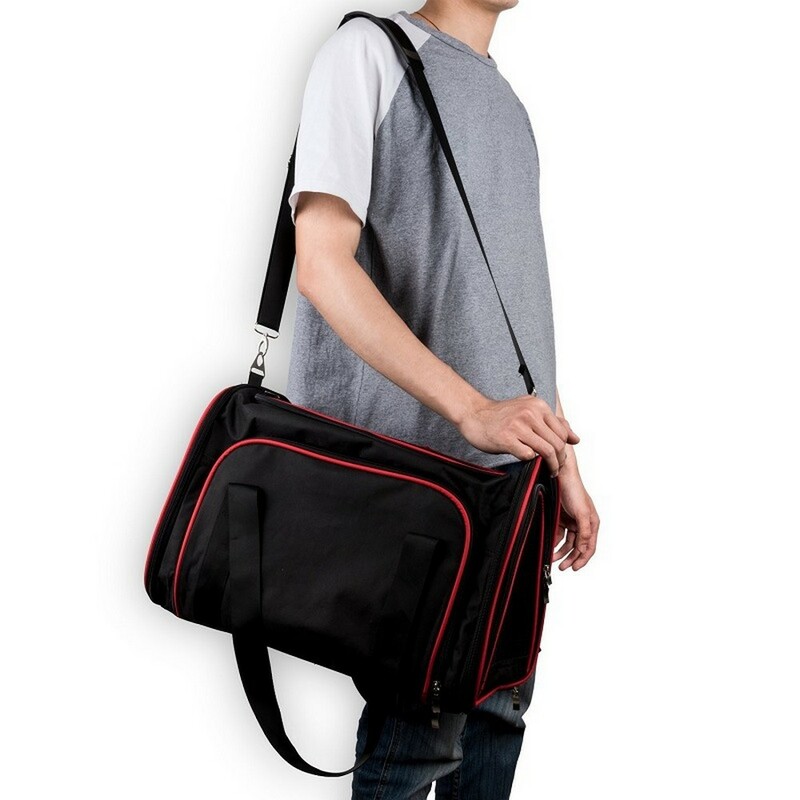 Easy to carry by shoulder strap or integrated handles. 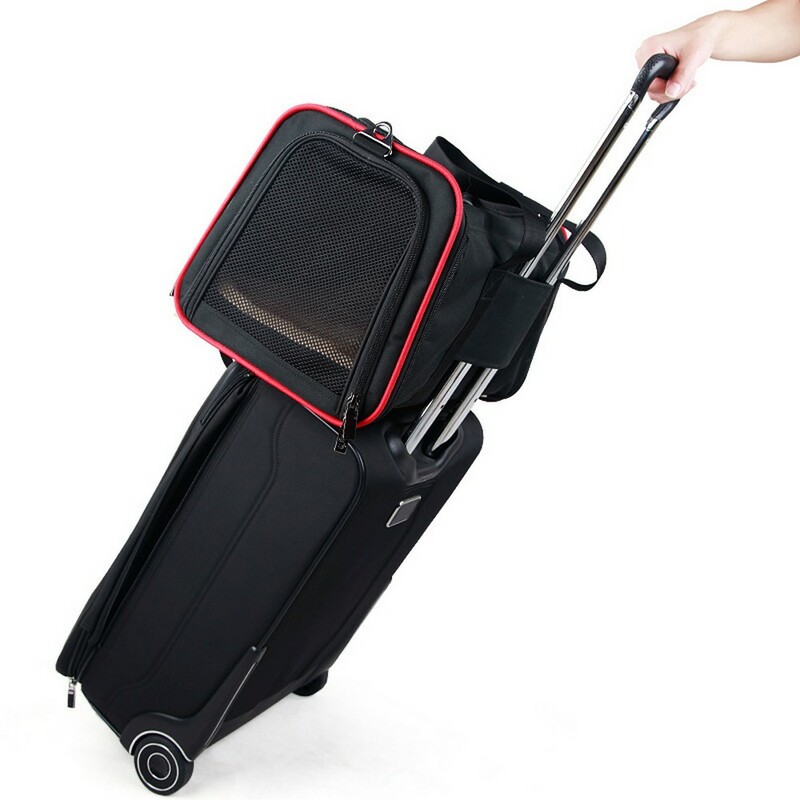 LIGHTWEIGHT DESIGN & NO COLLAPSE easy to carry, yet folds flat for storage under a bed or in a drawer. 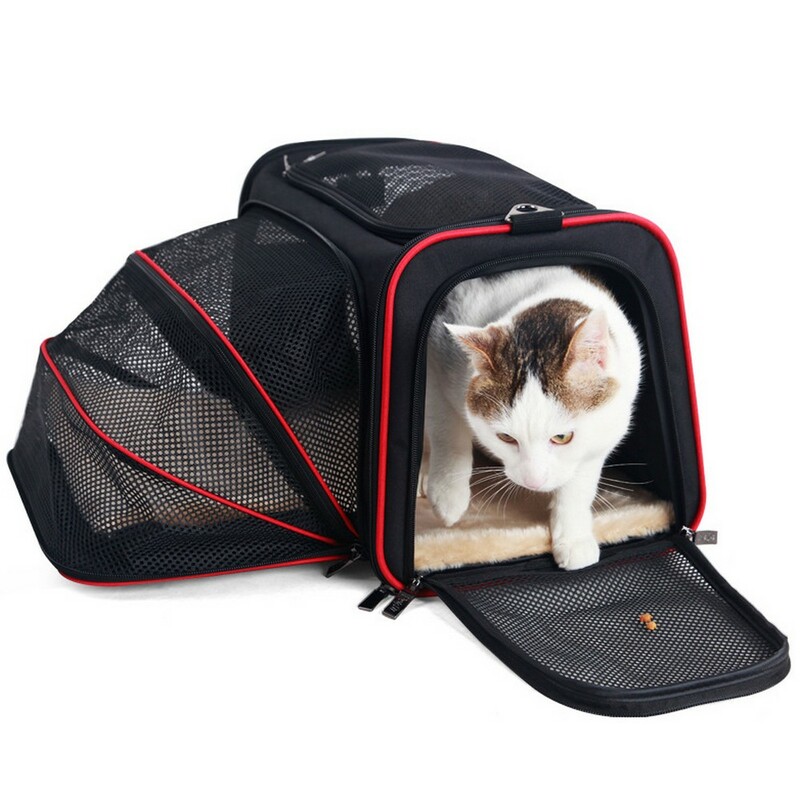 Durable metal swivel clips prevent twisting of shoulder strap, and a leash clip prevents your animal from dashing out. 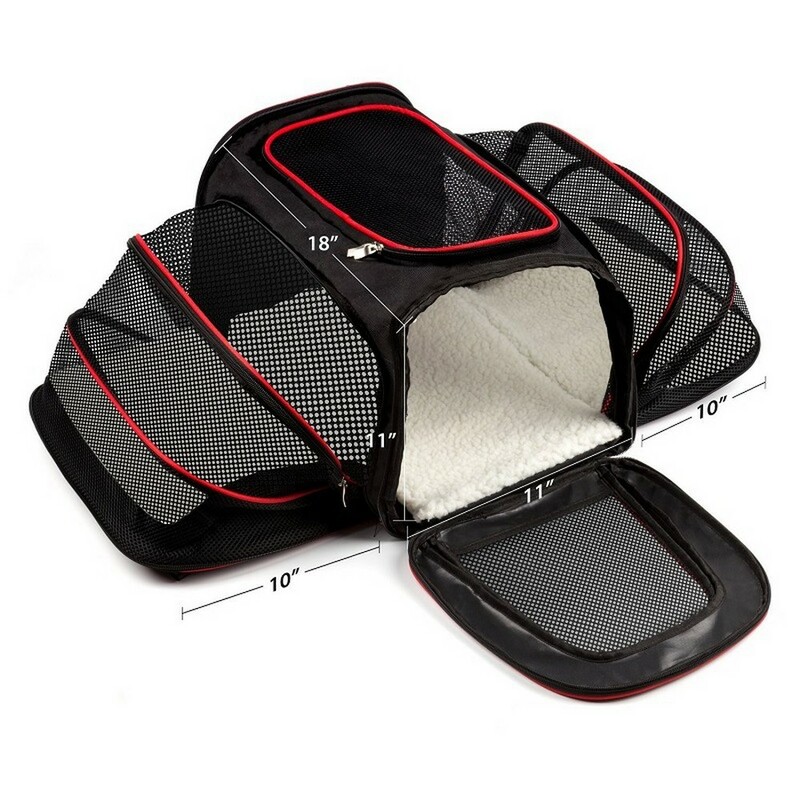 Storage pocket on the side of the crate keep accessories at your fingertips.